Volvo doesn’t just make passenger cars – it also makes city buses, construction vehicles and even military ones. 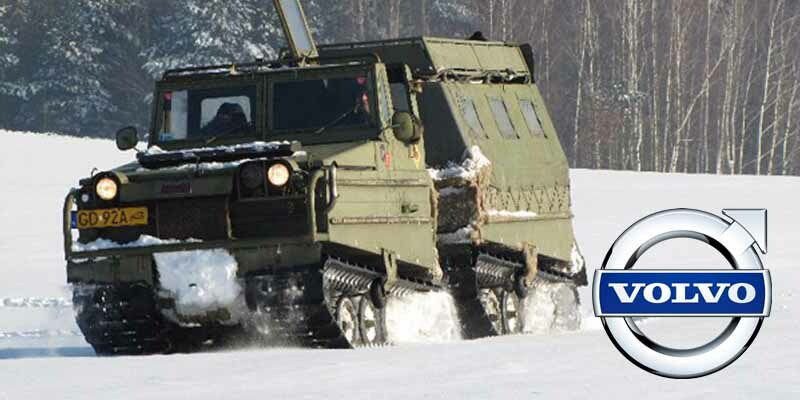 One of its more awesome military projects was the BM-Volvo BV202 — an articulated-steering tracked vehicle built specifically for transporting troops over deep, loose snow. Incredibly, the BV202 also floats on water. A driver and a passenger occupy the forward compartment, while the rear compartment holds between eight and ten additional passengers.